A new listing on the Bluetooth Launch Studio website reveals that the Motorola Razr XT2000-1 will be available exclusively via Verizon Wireless in the US. However, its availability in other markets remains a mystery for the time being — just like the specs, which are rumored to include a Qualcomm Snapdragon 710 processor and a 6.2-inch main display. 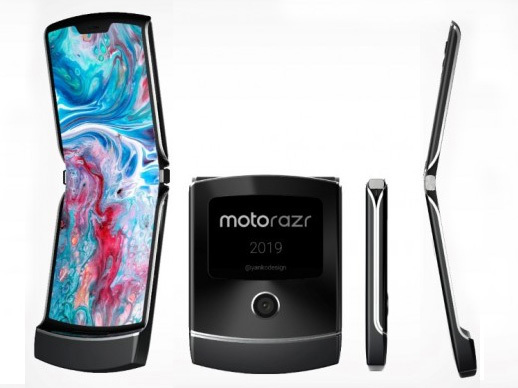 The dual-display Motorola Razr 2019 has surfaced online once again, and this time it was listed by a website belonging to the Bluetooth SIG certification authority. Although there is no official launch date yet, it seems like the launch day of this handset is drawing near. The Bluetooth Launch Studio listing for the Motorola XT2000-1 device comes with a description that leaves no room for misunderstandings: this is the upcoming Motorola Razr mobile phone that will launch exclusively for Verizon Wireless in the US. Sadly, this is where the official Bluetooth SIG information stops and we enter rumor land. If the rumors turn out to be true, this upcoming foldable handset will launch with a Qualcomm Snapdragon 710 inside and its primary display will measure 6.2 inches. Thanks to the mid-range platform used, the new Razr is expected to carry a price tag of around US$1,500. Since the Motorola Razr 2019 was not ready to face the crowds at MWC, it was then rumored that it would show up at Lenovo's annual conference in August. However, we can only hope that this new iteration of the iconic Razr moniker will be unveiled sooner.